1. 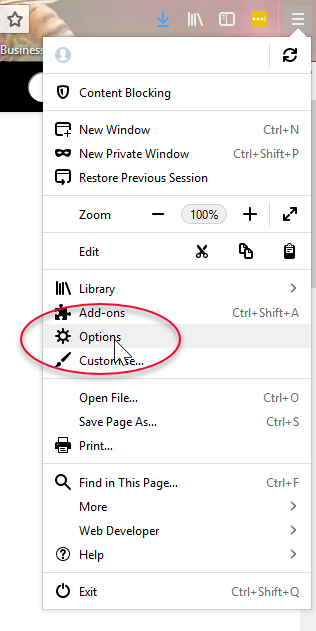 Select the Menu icon from the top right-hand corner. From the drop-down menu, select Options. 2. 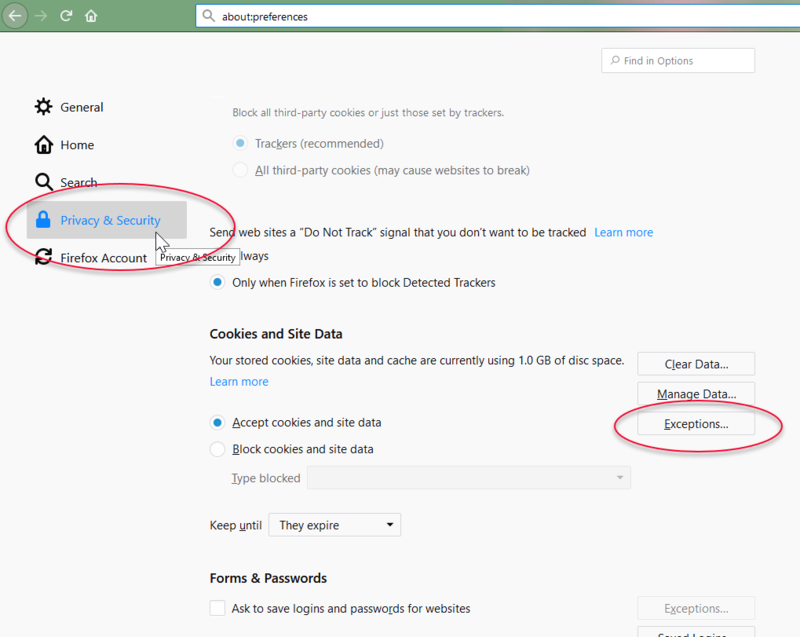 Select Privacy & Settings from the left-hand menu, and then scroll down to the section titled Cookies and Site Data. Select Exceptions… on the right-hand side of the page. 3. 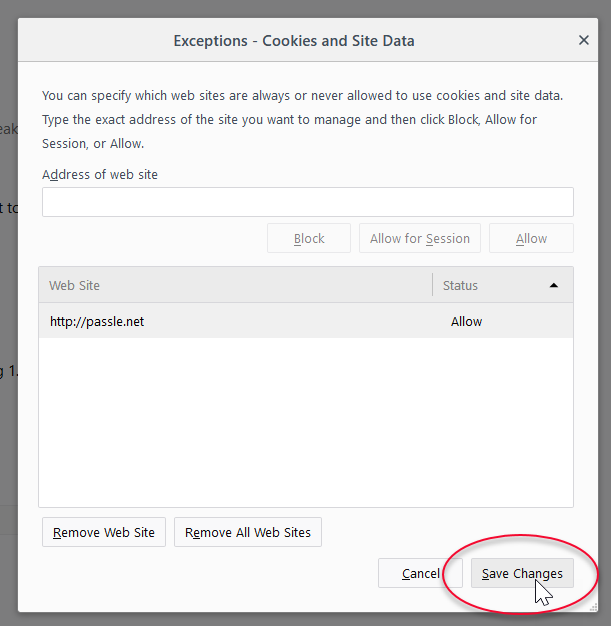 Add passle.net to the website address field. Select Allow. 4. 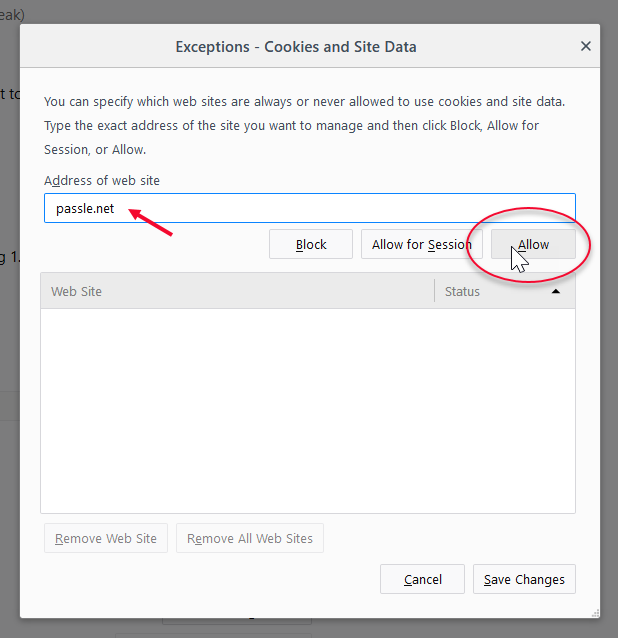 You should now see http:/passle.net enabled in the box with a status of Allow. Don’t forget to select Save Changes.